We are required to collect information to enable us to register and mentor participants. We will only collect information that is relevant. Information that is collected will be held securely to prevent any security breaches. Information that is collected will be processed in order to meet the individual needs of our staff, clients and participants. We will not divulge any personal or health information to a third party for any reason other than the primary purpose for its collection or for purposes specified in our privacy notice or with the consent of the individual or as required by law.  At Rock Academy Melbourne we value our staff, clients and participants and will respect the privacy of their personal information. If a staff member, client or participant wishes to access or up date their personal or health information we will provide all reasonable assistance with this. We will take all reasonable steps to provide our staff, clients and participants with details of their personal information being held upon request. We will advise them of the type of information we possess, the purpose for it being held, the method of collection, use and disclosure of the information as well as their rights to access and amend this information. In most circumstances we will give staff, clients and participants access to their personal information upon request. All requested information will be provided within 14 days from receipt of the request. All information that is not accurate will be amended within 5 days of receiving a written request to do so. We seek to have accurate records so information needed to update these records such as current contact details will be made on request. You can advise us that you do not want us to send certain information to you other than for conducting normal business transactions. You may opt out of receiving any newsletters, advertising and marketing communications by unsubscribing. You can choose to unsubscribe at any time by following the how to unsubscribe instructions on the Rock Academy Melbourne emails. Once you have submitted your request to unsubscribe, you will not intentionally receive any further newsletters, advertising and marketing communications or whatever information you have elected not to receive.